Crush biscuits into a fine crumb in the food processor, add melted butter and blend well. Pour into a 22cm springform tin and press down well – for a thinner crust you can press it up the side of the tin or pat it down into one layer like I did. I pop this in the fridge while I prepare the filling. Rinse out the food processor or use a food mixer and combine together cream cheese, vanilla and sugar until it is light and fluffy – scraping down the sides occasionally. You really want the mixture to be creamy and satiny to ensure you get the best texture in the end so whip a minute longer than you think you need to. Break the chocolate into pieces and melt in the microwave – heating for 20 second bursts, stirring in between until completely melted and smooth. 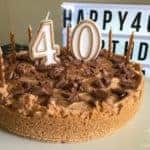 Fold the thickened cream and chocolate gently into the cream cheese mixture until well combined – I used the food processor and just put it on lowest speed until just combined. 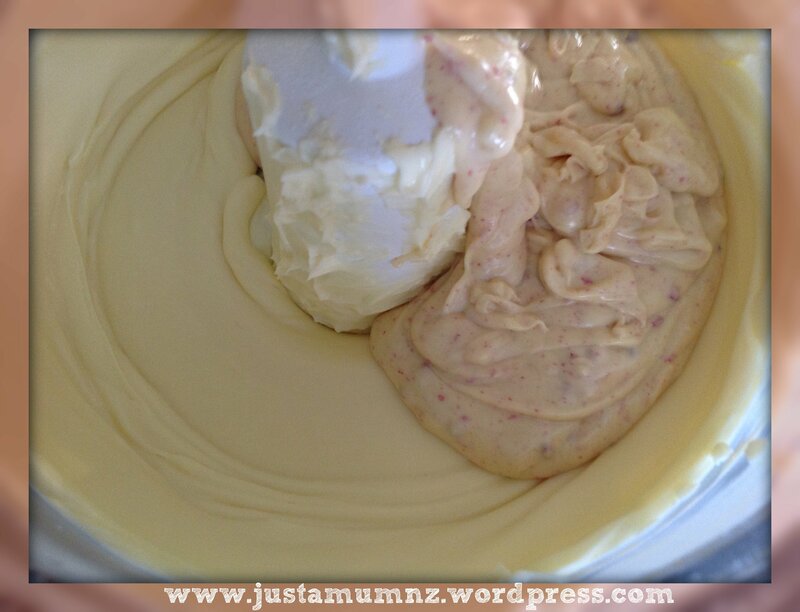 Pour the cream cheese mixture onto the biscuit base and gently smooth it using a knife. 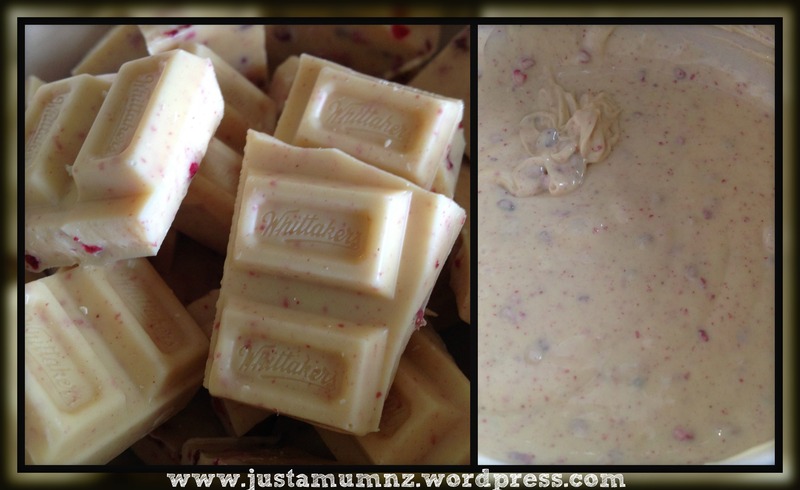 Refrigerate until set – ideally 4 hours, but can also be made a day ahead if required. This cheesecake is quite a dense one due to using the entire block of chocolate – but the texture is just lovely so I recommend keeping that amount but use less if you desire. 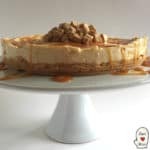 Cheesecake is ALWAYS better served at room temperature or near to it – so if possible get it out of the fridge 20 to 30 minutes before you wish to serve it. Now for the Coulis – this can be prepared ahead of time also and stored in a jar or covered container in the fridge until you are ready to serve. 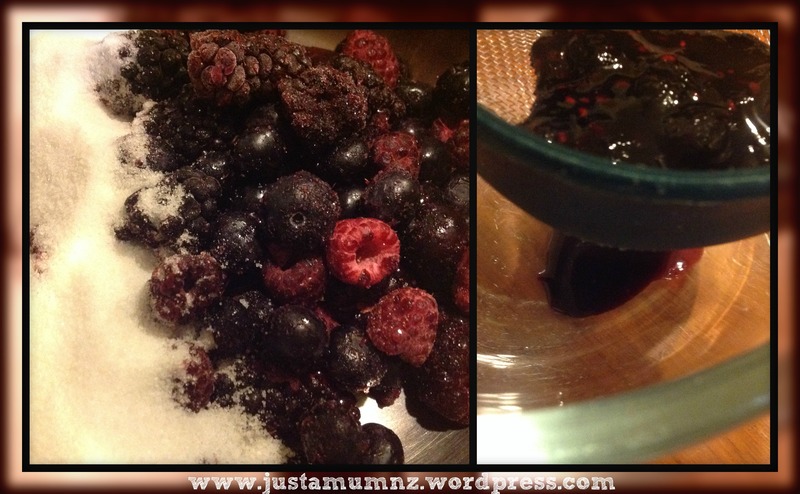 Add the frozen berries and sugar to a small pan and set on a low heat. Begin to gently heat the berries for up to 10 minutes. They will begin to break down and release their juices. Stir often to ensure the sugar does not burn on the side of the pan. Once the berries have completely broken down and you have a lovely juicy mixture remove from the heat. Strain the berry mixture through a sieve a few tablespoons at a time into a bowl or jug to remove the excess pips & pulp. I use the back of the spoon to push the liquid through the sieve, scoop out the pulp bits into a bowl (*see below) and repeat for remaining mixture. 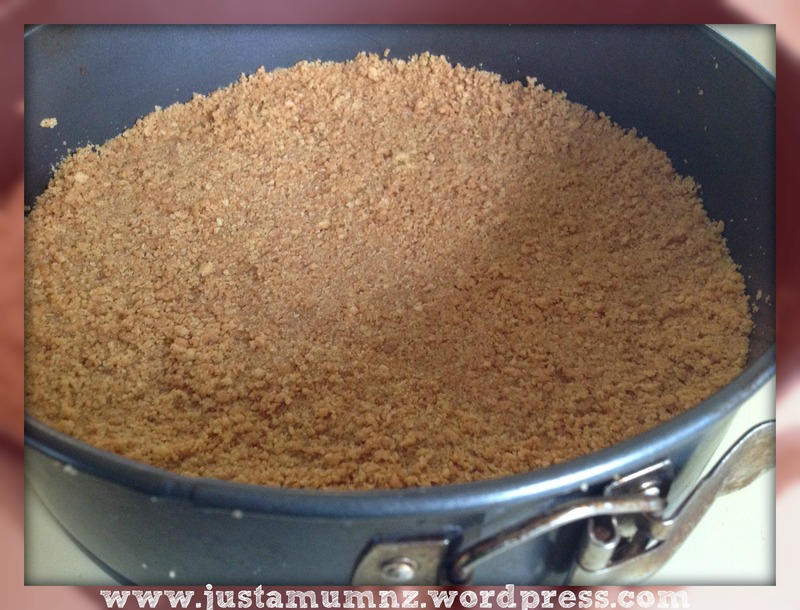 Remember to also scrape the underside of the sieve to get all the yummy liquid you can! Stir in the lemon juice now if using. Store the coulis in a covered jar or container and serve either drizzled over the entire cheesecake or on individual portions to suit peoples tastes. 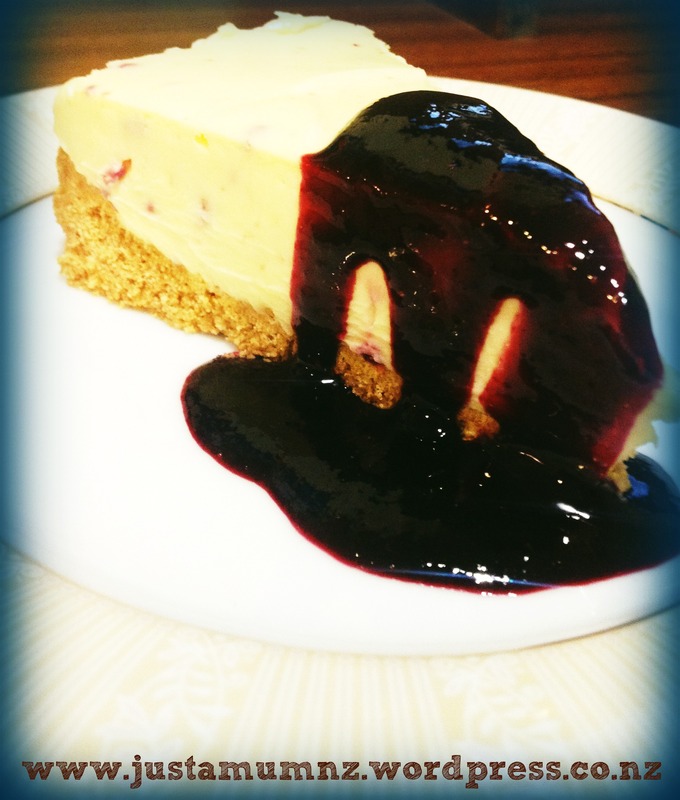 It really adds to the overall taste of this cheesecake and provides a lovely contrast to the rich cheesecake. * If you are a clever baker you might like to save the pulp and pips. 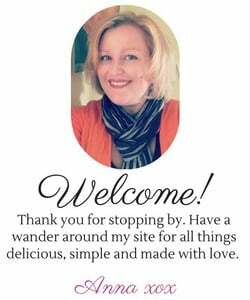 They would make a lovely addition to your baking if you are so inclined. 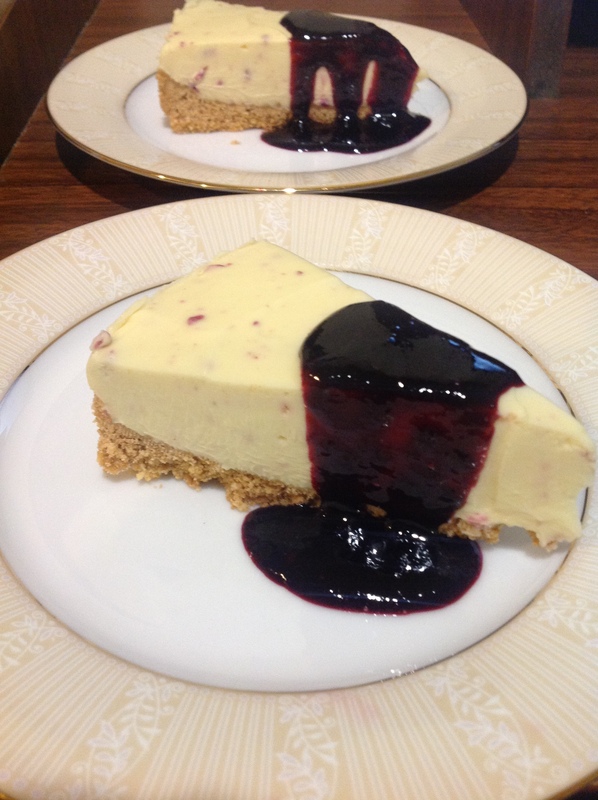 This cheesecake can be cut to 12 very generous portions or 16 daintier ones. 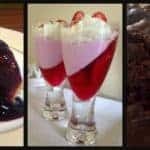 I hope you enjoy this special recipe – made with love for my Husband and hopefully becomes your go to special dessert as well. Oh that looks really good. 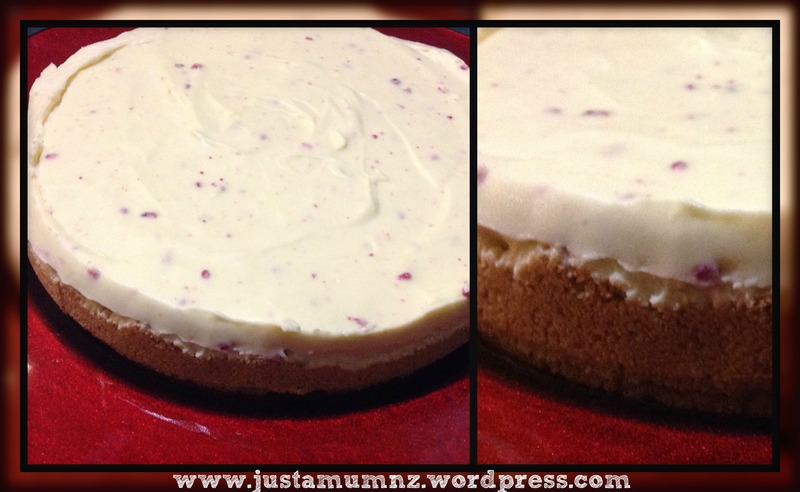 I’ve never attempted to make homemade cheesecake period. I should give it a whirl. omg this really looks delicious ! So easy and it looks delicious! Thank you for sharing this great recipe with us for Fabulous Foodie Fridays!! 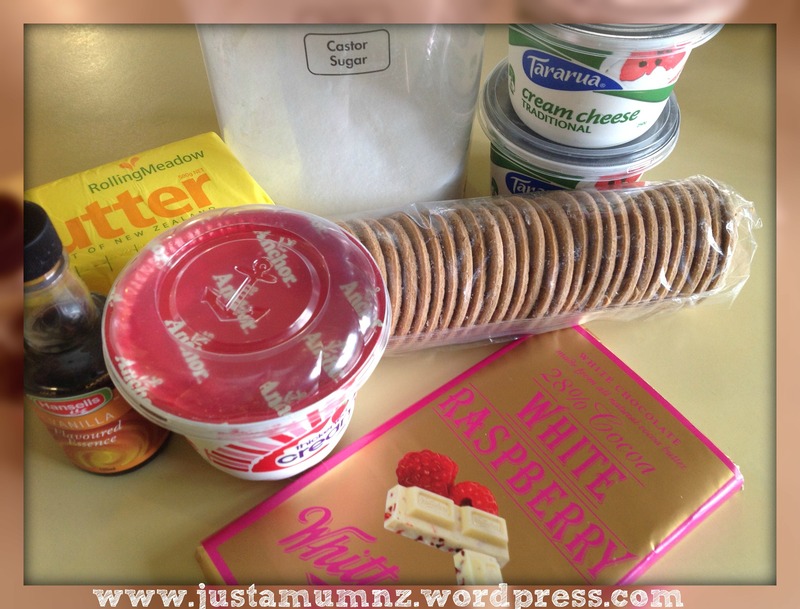 Here via the fabulous Friday foodie link up, and omg how good does this look! Can’t wait to try it. Btw, this linky is going to make me so fat!